This Book of Memories memorial website is designed to be a permanent tribute paying tribute to the life and memory of Pauline Campbell. It allows family and friends a place to re-visit, interact with each other, share and enhance this tribute for future generations. We are both pleased and proud to provide the Book of Memories to the families of our community. 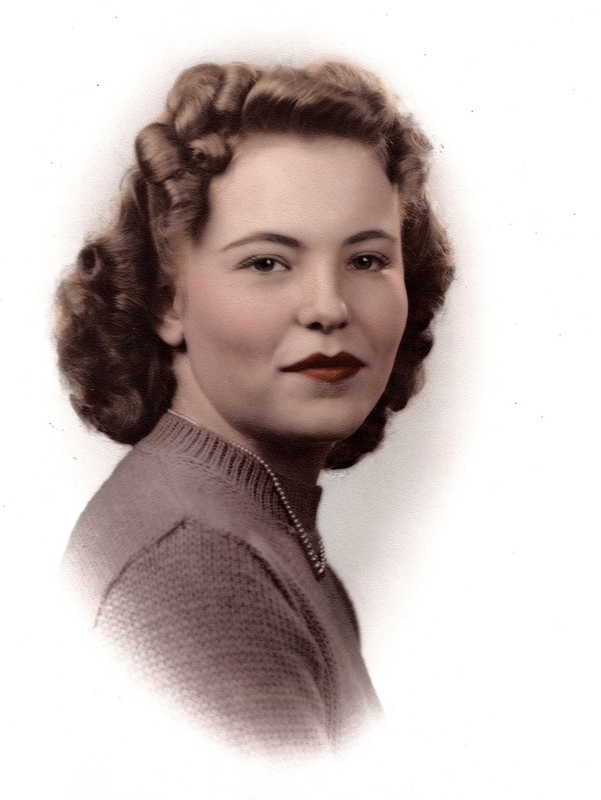 Pauline S. Campbell age 90, of Delton passed away, April 15, 2018 at Lifecare Center of Plainwell. Pauline was born January 1, 1928 in Orangeville Township the daughter of Ben and Doris (Cappon) Bagley. Pauline loved the outdoors; especially watching the birds, picking raspberries and morel mushroom hunting. An accomplished seamstress, Pauline enjoyed sewing, knitting, needlepointing, and she could upholster anything. Although Pauline spent most of her life as a homemaker and a stay at home mom; she was employed briefly at Fort Custer and Action Rod in Hastings. Pauline attended Faith United Methodist Church in Delton. On January 17, 1946, Pauline married the love of her life, Merwin Campbell, and he preceded her in death on September 18, 2003. Pauline and Merwin were Grand Marshals of the Delton Founders Day Festival. The Delton community was always very important to Pauline and Merwin. They contributed to the first scoreboard, the bleachers, and donated the land for the Delton Boosters Club building and the land for the Delton Moose Lodge. Pauline is survived by sons: Dennis (Janis) Campbell, Douglas (Lynn) Campbell, and Dave Campbell, sisters: Maxine (Frank) Roush and Dorothy Keyzer, grandchildren: Benjamin, William, Nichole, Brian and Laura Campbell, great grandchildren: Brittney and Tanner Marshall, Ava, Jessie, Jonah, Alissa, Gavyn, and Haylee Campbell, a great great granddaughter: Deliah Elkins and several nieces and nephews. Pauline was also preceded in death by her parents and a sister Ila Schaafsma. Pauline’s family will receive friends Friday, April 20, 12:00 - 1:00 PM at Faith United Methodist Church where her funeral service will be conducted at 1:00 PM, Pastor Brian Bunch officiating. Burial will take place in Cedar Creek Cemetery. Memorial contributions to Faith United Methodist Church will be appreciated. Please visit www.williamsgoresfuneral.com to share a memory or to leave a condolence message for Pauline’s family. To send flowers to the family of Pauline S. Campbell, please visit our Heartfelt Sympathies Store.